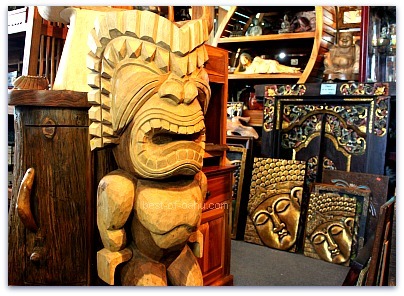 Peggy's Picks is a must stop when you're out Oahu shopping for gifts and unique treasures from around the world. 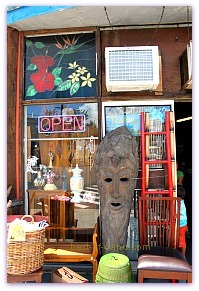 You’ll find just about everything from colorful puka shell jewelry to 7-foot wooden carved masks at this eclectic shop. 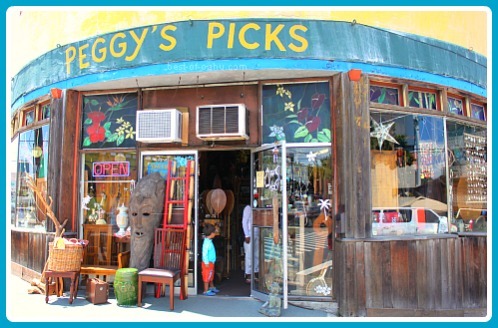 As you travel in and out of Waikiki on Kapahulu Ave, you can’t help but notice Peggy's Picks - a store that sits on a corner decorated with many alluring treasures displayed outside the entrance and in their large store windows. If Peggy is not traveling around the islands…or around the world for that matter, picking up new exciting items, then you might get the pleasure of meeting her at her store. She’s friendly and loves to tell you the stories of where things came from. 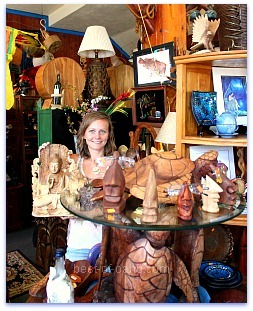 Peggy travels about half the year, including stops in Southeast Asia, Europe, and corners of the Pacific, for treasures to feature in her shop. She avoids the cheap junk and really expensive items. There are some great best of Oahu picks to be found! 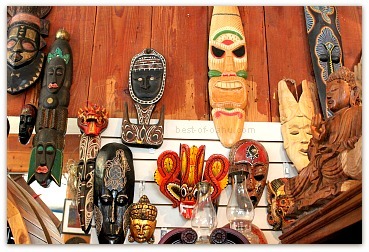 You can expect to find detailed wooden carved masks & sculptures, exotic furniture and eye-catching artwork. Peggy’s Picks is packed with many different items to treasure hunt through. 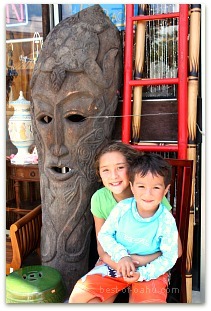 The 4-foot Hawaiian tikis are a popular item in this Waikiki/Honolulu shop…that is if they are in stock! 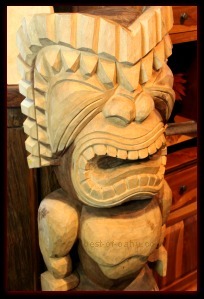 They are hand carved by a local artist, and don’t last long once displayed. Please note that Peggy has some “simple” rules when purchasing items. I believed she phrased it as “you must be present for your purchase, and transport the items yourself”. There is no internet site to browse, nor purchases conducted over the phone. If you’re flying home, good luck taking large items on the plane or shipping it for that matter. A pair of earrings or some candles are clearly not a problem to pack away in the luggage, but try shipping an 80 pound, 6 foot plus Bali mask. Luckily there is a UPS shipping store one block up the road. If it doesn’t workout, Peggys Picks will understandably allow you to return your purchase. Simply take Kuhio Ave south until it intersects with Kapahulu Ave (at the Honolulu Zoo) and turn Left. Follow Kapahulu for about half a mile until you see noticeable shop on your left or Taco Bell on your right. Kapahulu Ave is rich in both good local finds & flavor! 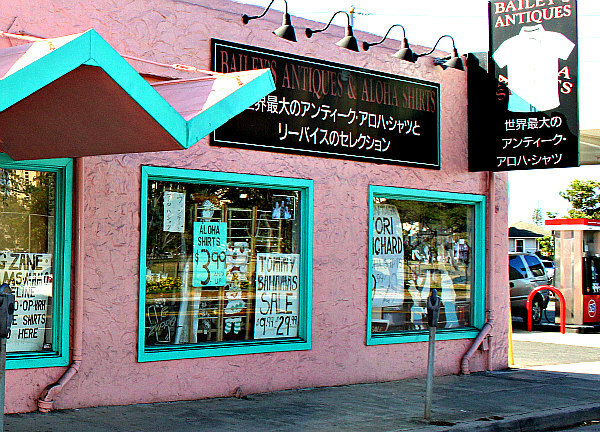 The Kapahulu strip has some of the best and unique Oahu Shopping to be found, including places like Island Paddler, Bailey’s Antiques, and Aloha Shirts. Couple shops like these with some of the best Waikiki restaurants in between, and you have yourself a half-day adventure! 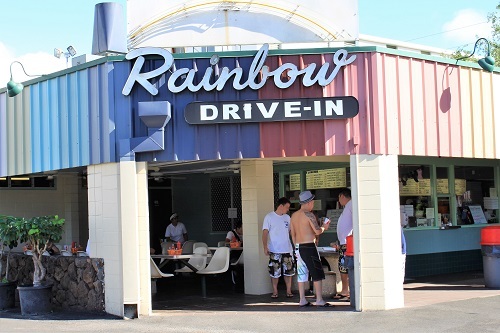 Too many amazing local Upper-Waikiki restaurants to choose from, including Ono Hawaiian Foods for obviously delicious Hawaiian meals, Side Street Inn for great comfort foods with an Asian flare, and a few star plate lunch houses such as Rainbow Drive-Inn –a locals favorite! Seek treats on Kapahulu Ave! Leonard’s Bakery is a tradition on this island! No week or vacation is complete without a fill of hot malasadas! Choose a flavor of the month, or order them plain…the way millions of people enjoyed them for decades. Just up the road from Peggys Pick's is one of the best Hawaiian Shave Ice experiences at Waiola’s! 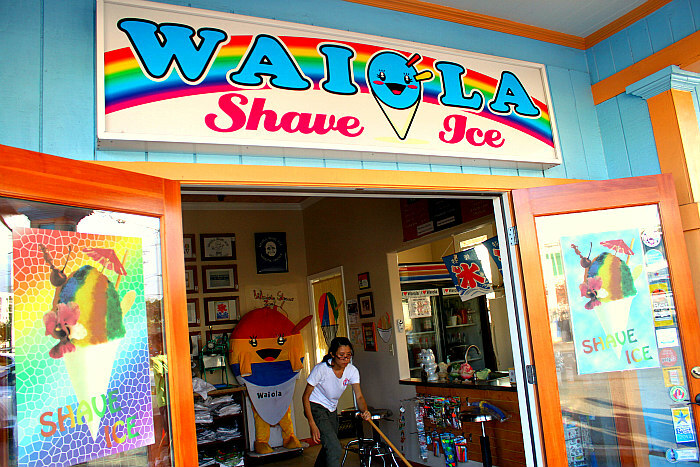 Mouth watering flavors and crazy over-the-top toppings will keep the smiles flowing at Waiola’s Shave Ice! Copyright © 2010-2015 Best-of-Oahu.com. All Rights Reserved. No Reproduction Allowed.